Vauxhall is celebrating 25 years of the Lotus Carlton, one of the most famous and dramatic cars to wear the Griffin badge. 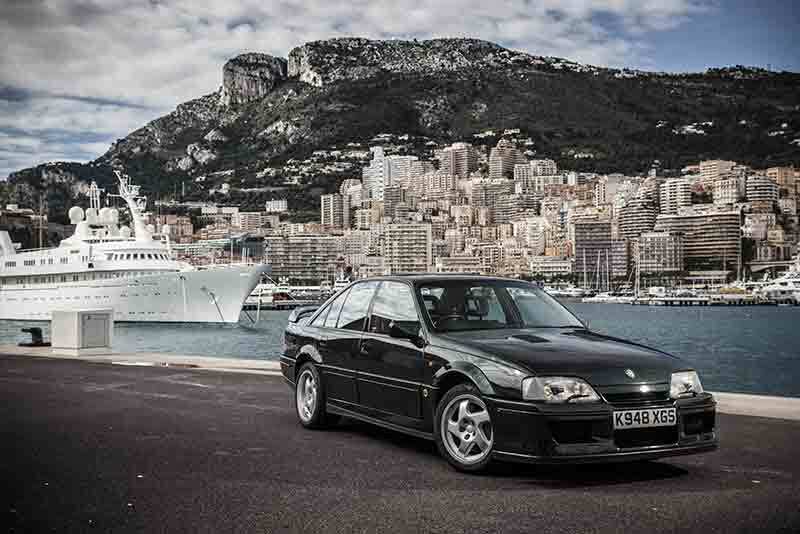 The Lotus Carlton was the fastest four-door saloon in the world when it was launched in 1989. With 377bhp from its straight-six, twin-turbocharged engine, the Carlton could achieve the 0-62 sprint in 4.9 seconds and would go on to a top speed of 176mph. Its chassis was developed and fine-tuned by Lotus, resulting in a car that could more than cope with the extra power and give some of the finest supercars of the day a serious fright! Just to put it into context, a 1989 Ferrari Testarossa’s flat-twelve engine produced 390bhp, could cover the 0-60 dash in 5.2 seconds and go on to a top speed of 181mph. Just so we’re not picking on Ferrari, a Honda NSX had 280bhp, A 1989 Porsche 911 Turbo 300bhp). Out of nowhere dropped this Imperial-green, 4-seat, cruise missile, wearing a Griffin badge, wide arches and subtle yellow Lotus badging.. In 1989 the Lotus-Carlton’s, more humble, Carlton relatives had been around for four years, their habitat was generally munching motorway miles 24/7. The performance of the Lotus-Carlton didn’t just ruffle the feathers of the super car establishment, it pre-heated the oven and started plucking out feathers. “Everyone at the time said it was completely inappropriate for a manufacturer like Vauxhall to launch a 176mph car,” said Stuart Harris, a key member of the Lotus Carlton’s launch team back in the eighties. The, performance, rarity and myth around the Lotus-Carlton (Lotus-Omega in Europe) means the car is still ultra-desirable today and, when one actually does come up for sale, this is reflected in their prices.